Johanna Harris gained her BA (with double Honours in English and Ancient History) at the University of Sydney in 2002, MSt. (2004) and DPhil. (2008), both at University of Oxford (Somerville). She taught at various Oxford colleges (Keble, St Hilda's, Somerville), and was a postdoctoral researcher at the University of Geneva in 2009-10. In 2010 she was a lecturer at Lincoln College, Oxford. In January 2011, she was appointed Lecturer (E&R) in Renaissance Literature at the University of Exeter, and promoted to Senior Lecturer in January 2016. Her research investigates the lives and letters of the early modern period, ranging from poets such as Andrew Marvell and Thomas Traherne to lesser known writers such as the puritan Lady Brilliana Harley. She is particularly interested in the religious politics of the early modern period and in the techniques and styles of letter-writing as a vehicle for, and often an embodiment of, these partisan concerns. Her interest in these aspects of the period necessarily extends to editorial, as well as interpretive, projects. Johanna has co-edited (with Elizabeth Scott-Baumann) The Intellectual Culture of Puritan Women, 1558-1680 (Palgrave Macmillan, 2011). Her monograph, Epistolary Communities in Early Modern England, is in progress and due for completion in 2016 (Palgrave Macmillan). 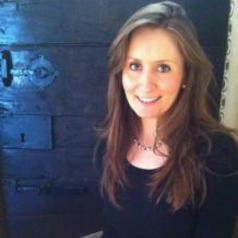 She is currently working on an edition of Thomas Traherne's previously unpublished 'The Ceremonial Law' and Select Meditations (for the Oxford English Texts series, OUP), and as general editor (with Alison Searle) and volume editor of Richard Baxter's correspondence (a nine-volume edition contracted with OUP). Other ongoing projects include studies of Andrew Marvell's prose, letters, and nonconformist networks; an edition of Lady Brilliana Harley's non-epistolary manuscript writings; 'lives and letters'; and notions of dignity in relation to reading in early modern England. Alongside research, teaching and administrative roles, Johanna established and continues to co-ordinate the Exeter Care Homes Reading Project, a volunteer initiative that trains and sends English students into local care homes to read to residents. The Reading Project has garnered local and national press and TV coverage, is supported by the University's Annual Fund, and partners with the Department's excellent student-led English Society and Community Action. In November 2015 Johanna was named a winner of the Prime Minister and Cabinet Office's award, 'Points of Light'. In 2013, Johanna was James M. Osborn research fellow at Beinecke Library, Yale University, and Folger Shakespeare Library research fellow, Washington D.C.
She reviews for Times Literary Supplement, Renaissance Quarterly, Literature and Theology and Notes & Queries, and reviews book proposals for Routledge, Ashgate, and OUP.